BioInnovation Days 2018 is an international hackathon devoted to finding innovative solutions in the fields of BIOeconomy, BIOtechnology and BIOmedicine. There are prizes for the best ideas and pitchers! The current model of production and consumption largely relies on fossil-based resources, which has irreversible impact on the environment. Also the availability of natural resources is approaching its peak due to wasteful overuse and biodiversity is degrading. To address this, Europe has taken steps to move away from fossil-based economy and make transition to a sustainable bio-based economy – bioeconomy. refers to an economy that relies on renewable natural resources to produce food, energy, products and services. Bioeconomy will reduce dependence on fossil resources, prevent biodiversity loss and create new economic growth and jobs in line with the principles of sustainable development. has an unlimited potential to serve and benefit humankind. BIOtechnology has helped improve food quality, quantity and processing, it has applications in manufacturing where simple cells and proteins can be manipulated to produce chemicals, in environment with its capability to meet the need of our depleting fossil energy reserves, through Bio-fuels and implications in health and medicine through genetic engineering. In health and medicine BIOmedicine has the potential to offer new innovative methods for healthy living and active ageing. Implementing personalized medicine in European countries offers to start-ups the possibility to create and build new services and products around it. The research data generated in the biobanks enables to use individual genomic variations obtained from genetic analysis and computational methods to predict disease risks, detect high-impact medically actionable findings and select suitable drugs in suitable dosis. In our internatinal hackathon we have brought all of those fields of life sciences together to contribute to more sustainable economy and improved and healthier living. We await students, researche–rs, scientist-entrepreneurs and early-stage start-ups in the fields of bioeconomy, life-sciences, medicine and IT from the Baltic Sea Region and all over Europe. We also welcome marketers, project managers, designers, entrepreneurs & people with bright ideas for developing new solutions, products and services. Introductory lectures from International mentors and start-up leaders, followed by formation of teams and idea generation in teams. Teams develop their ideas with the help of mentors and corporate partners and create a pitch to be presented to the jury. There are prizes for the best ideas and pitchers! NELIS (Next Leaders’ Initiative for Sustainability) Leadership Prize will be awarded to one participant who has demonstrated leadership skills during the hackathon, taken initiatives, shared willingly with team members and is a great ambassador of their country. The prize is an all-expenses paid trip to Japan for one week in June 2018 to attend the NELIS Global Summit and invite-only leadership sessions on sustainability, with fellows from around the world. The EIT Health Summer Schools ( https://www.eithealth.eu/summer-schools) support innovation by empowering the healthcare leaders and innovators of tomorrow. The programmes provide students with the necessary skills to identify needs related to healthcare and to transform innovative ideas into well-elaborated business cases that can attract investment. 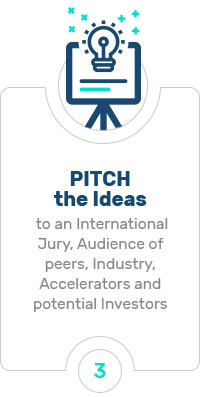 ClimateLaunchpad is the world’s largest green business ideas competition. 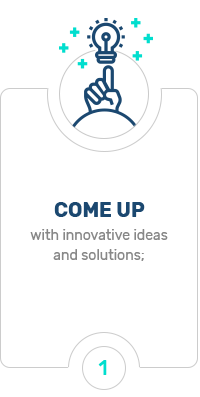 ClimateLaunchpad is part of the Entrepreneurship offerings of EIT Climate-KIC. Erasmus for Young Entrepreneurs (EYE, https://www.erasmus-entrepreneurs.eu/) is a program, where you will receive mentorship from a successful entrepreneur abroad and discover new ways to develop your own business. EYE will give out a scholarship of 3300 EUR and consultation on your business plan at Bioinnovation Days! Tartu Biotechnology Park provides physical infrastructure as well as business development and consultancy services to companies and R&D institutions in the fields of biotechnology, medicine and veterinary medicine. and use password ”Bio-Innovation Day” for booking a room for the needed period. Acommodation in Hotell Tartu, until there are rooms available. The discount price for the rooms if order is paid via CWT by invoice in advance. From 1 September 2015, the City of Tartu is using a modern ticketing system which is already in use in many places throughout Estonia and Europe. A contactless plastic chip card or a sticker, which must be swiped at the validator upon entering the bus, is being introduced. Use of the bus card is compulsory for all passengers except those travelling for free under the provisions of the Public Transportation Act. Pensioners over the age of 65, and other passengers with the right to free travel from the City of Tartu, must also register their journey at the validator. Students can use their new student cards as bus cards. Tartu bus cards can also be used in Tallinn, Harjumaa, Kohtla-Järve and Tartumaa, and on Go Bus intercity lines. New bus cards and stickers can be purchased at R-Kiosk, shopping centres, and other stores. A list of retailers is available at www.tartu.ee/bussikaart. Cards cost €2. You can load money onto your card and buy tickets at sales points, online at www.tartu.ee/bussikaart_eng and via mobile phone. You can also Travel to Tartu through Tallinn and Riga. Tallinn’s International Airport is located just outside the city centre, on the road to Tartu. It is comfortable to rent a car, take a bus or Airport Shuffle service. Riga's International Airport is connected with Tartu trough Lux Express buses. The Airport Shuttle leaves Tartu Airport for the city centre approx. 20 minutes after an arrival, but will wait for anyone who needs a ride to the city. For just 5 euros the shuttle will drop you off anywhere in the City of Tartu. Tickets can be bought from the driver in cash or using a debit/credit card. To get to the airport from the city, you can book the shuttle to come and collect you up from a place convenient for you and in consideration of your schedule. To book your trip, call at least 12 hours before departure. Now the company is also running an airport shuttle service connecting Tallinn Airport with Tartu. The shuttle operates during night-time hours, when regular bus services aren't available. This scheduling means that passengers arriving in Tallinn on late-night flights, or departing from Tallinn on early-morning flights, have an easy way to make their connections. A one-way ride costs 20 euros per passenger. The trip from Tallinn to Tartu takes around 2.5 hours, with buses leaving Tallinn every half an hour or so from 5:40 to 23:59. On the hour, every hour from 7:00 to 20:00 comfortable Lux Express buses depart on the Tartu-Tallinn-Tartu route. You can use power outlets, free WiFi, listen to music or watch movies and enjoy free hot drinks such as tea, coffee and cocoa. All Lux Express buses stop at Tallinn Airport in both directions. Find tickets and times at www.tpilet.ee and www.luxexpress.eu. There are also international bus connections with Rīga in Latvia and St Petersburg, Moscow and Pechory in Russia. More information: www.luxexpress.eu and other carriers www.eurolines.com or www.ecolines.net. For those behind the wheel, Tartu is only ever a pleasant drive away – the 186 km between Tallinn and Tartu takes just two hours, while the Latvian capital, Riga, is 260 km or three-and-a-half hours to the south-west. Driving here also means you can stop and admire some of Estonia’s prettiest and most interesting sights along the way! (For ideas, see visitestonia.com) Those travelling between Riga, Tartu and St Petersburg can plan their trip through Estonia using the Via Hanseatica travel planner ( www.viahanseatica.info ). Visitors who want to explore Tartu and Tartu County first-hand can hire a car or bike – information about both options is available from the Tartu Visitor Centre ( info@visittartu.com ). Parking fee payment in the center of Tartu is necessary from Monday to Friday from 8.00 – 18.00, with the exception of public holidays. Placing a parking ticket and written or marked parking clock on the dashboard with the same time, the parking meter will automatically extend for extra 15 or 90 minutes according to the zone. Andrus is the partner and CEO of Tartu Biotechnology Park, which provides physical infrastructure and business development services for clients, mainly biotech companies. Starting from 2006 Andrus is also the partner and CEO of TBD-Biodiscovery, a company active in the field of organic and analytical chemistry and since 2010 Andrus is chairman of the board and advisor for business development of Competence Centre on Health Technologies, a company focused on applied research and product development in clinical and translational medicine, as well as in biotechnology. Andrus has a PhD in Environmental Microbiology, is the author of three patent applications and owner or co-owner of five life science companies. He has participated in about 70 international R&D projects and has coordinated more than 20 of them. Christos Vaitsis is leading the development and implementation of the Accelerator (Business Creation) Pillar for the EIT Health Scandinavian node, which consists of regional, industry and educational partners in Sweden, Denmark and Estonia. Christos has a background in Computer Science and holds a MSc in Health Informatics from Karolinska Institutet where he previously worked as Researcher and Course Director in the field of Contemporary Technologies in Health (e.g. Big Data and Analytics for impacting and improving reasoning and decision making). Dr Dimitris G. Hatzinikolaou is an Associate Professor of Microbial Biotechnology at the Department of Biology of the University of Athens. He holds a Diploma and a Ph.D. from the Department of Chemical Engineering at the National Technical University of Athens, Greece and a M.S.E. degree from the Department of Chemical Engineering at the University of Michigan, USA. He has extensive experience in the general area of Applied Microbiology and Biotechnology through his participation from various scientific posts, in several EU (FP5-FP7 and H2020 frameworks) and many national research projects. His wide research interests involve the microbial utilization of lignocellulosic biomass towards 2nd generation biorefinery applications, the design and optimization of processes for the microbial production of enzymes and low MW compounds (upstream and downstream), the biosynthesis, purification and study of industrially important enzymes and the biodegradation of industrial pollutants. Francesco Gatto is the Chief Scientific Officer and co-founder of Elypta, a start-up focussed to improve the survival outlook of cancer patients by developing systems biology-driven biomarkers. He co-invented a diagnostic and prognostic test for renal cell carcinoma based on an exceptionally accurate liquid biopsy, which leverages on a novel systems biomarker for this common form of kidney cancer. This test recently showed unprecedented potential for other cancer types. After working for 5 years in leasing-financing Ivar started his entrepreneurial path in 2007. 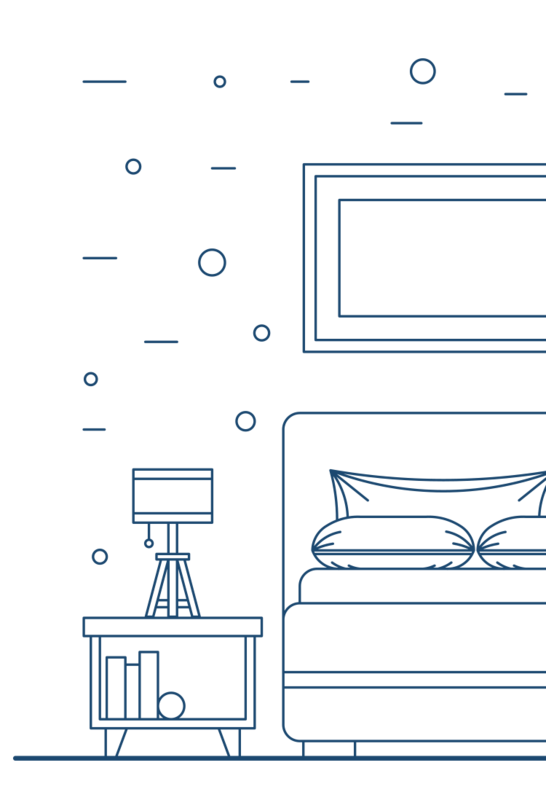 Together with partners he created a fleet-management monitoring company, which connected some dots of different IT-services combining new value for business-customers. In 2012 it was merged to one major competitor, which is today the European market-leader. In 2011 Ivar started a company Werrowool, which is manufacturing environmentally friendly cellulose insulation. The company was honored in 2014 as the most environmentally-friendly company in Estonia. In 2018, Ivar started his 4th season in Climate-KIC programme Pioneers into Practice, where he has been a pioneer and a coach. The programme is perfect for linking environmental experts, scientists, entrepreneurs and organizations to create new ventures or at least networks. Working with the group of people Ivar sees himself as a creative adviser. He supports creating and sustaining the change and disruptive business-models. His previous history with the Climate-KIC and hands-on business experience has taught him about the local context, low-carbon economy challenges and possible solutions. PhD Krister Talvinen has a long history with the different players in the field of higher education. He has worked at the Academy of Finland, in the Ministry of Education and Culture, and in the National Defense University. His academic background is in social sciences and humanities, and his doctoral thesis in philosophy in 2009 dealt with the impossibility of knowledge. At the time of his thesis, he worked for a marketing research company, Taloustutkimus Ltd. Providing surveys or brand image analyses for all kinds of businesses proved to be an invaluable lesson in the ethos and operating logics of the business world. Lucia Vannini is assistant professor in Food Microbiology at the Department of Agricultural and Food Science at the University of Bologna (Italy). Lucia holds a Master in Food Science and Technology and a Ph.D in Food Biotechnology. Her main research activities are in the area of Food Science and Technology with a special focus on the selection, characterization and use of microbial cultures to produce traditional or innovative fermented foods, and innovative/emerging technologies for food processing. She has also acquired experience in the development of biotechnological processes for the treatment and valorization of agro-industrial wastes and by-products into added-value compounds. In this context her interest is in the exploitation of microbial biodiversity for the production of different metabolites relevant for the food and feed industries (e.g. antioxidants, antimicrobials, flavouring, microbial biomasses) and/or usable in new value chains in the perspective of a circular economy approach. The Nordic Council of Ministers is an inter-governmental co-operation body and Madis is working towards more cohesion between Nordic and Baltic countries in a number of sustainability-related areas. The focus areas cover environment, energy, sustainable consumption and circular bioeconomy. The aim is to initiate new developments, facilitate networks and concert efforts among international stakeholders for more sustainable living patterns. Madis also assists the Baltic Sea Region Bioeconomy Council and has gained some valuable experiences in mentoring/evaluating green start-ups. There is often not a need for new tech invention but for courage to change. University of Tartu IdeaLab Manager. 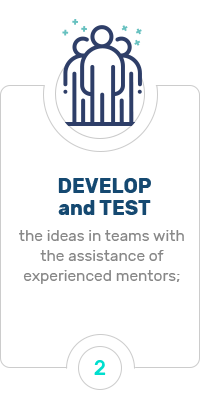 Experience in mentotring student early-stage startups in customer discovery and product development. Long term experience in management training and coaching. Robert MISKUF is CEO at PEDAL Consulting, the top Horizon 2020 performer in Slovakia that brought to a sustainable life several startups and companies. Among others, the company made a strong footprint in the bioeconomy domain through the implementation of the “Transition to Green Economy” project as well as the BIOWAYS, BIOVOICES and BIOBRIDGES projects. Robert’s personal mission is to contribute to the development of sustainable and circular Bioeconomy at regional and local level based on local biological resources to create new value chains, local green energy, considering various elements, ranging from ecology with resilience and biodiversity, water management to cultural heritage. Environmental Engineer, active in the Clean Tech and Bio-Economy sectors since 2005. He contributed to the start-up of several initiatives worldwide, with a special focus on the agro-industry, renewable energies, and bio-tech. Entrepreneur and Manager during the last 12 years, he got involved in different sustainable business cases, shifting from the bio-energy and the bio-fuels sectors, to innovative applications in the green chemistry and bio-materials. In 2015, with the aim of developing innovative products from a natural technology following the principle of the Circular Economy, he co-founded Mogu S.r.l. (Italy). Employing the mycelium (fungi roots) as natural glue, the Company is developing and producing bio-composites, valorising agro-industrial wastes and co-products. Sven is the General Manager of Tartu Biotechnology Park, which provides business development services for companies in biotechnology and other related sectors. He has been working as a Technology Transfer Expert in University of Tartu for almost 4 years helping companies and the university to collaborate on multiple topics in biotechnology. He has been involved in 3 startups, 2 in biotechnology and 1 in mobile health and is involved with Kinasera and RNAexact. In 2016 he was a member of board of the Connected Health cluster representing the interests of R&D institutions. Triinu Sirge is European Ergonomist, and young scientist, movement and sport sciences PhD student in University of Tartu. Triinu has spin-off (University of Tartu) company ErgowayOÜ, which offers occupational health and safety services, and ergonomic services. Gunars Kisis is a founder of S/B PRO and has been an active start-up scene member for many years. His first start-up was 10 years ago when in the region there was no support for startups. Currently, he is an active member of the Latvian Young Scientist Association and head of Commercialization unit. Gunars Kisis is certified business coach and business mentor with more than 350+ hours coaching experience particularly for tech companies and startups. Besides business experience, Gunars has obtained a degree in Electrical Engineering and has been active member of several NGOs. Roel is an expert in Public Private Partnerships and Innovation Officer at EIT Health / Food & Health. He is working in Center for Development and Innovation (CDI) and University Medical Center Groningen (UMCG), The Netherlands. Estonian Genome Center (EGC) is one of the leading biobanks in Europe. It's main goal is to improve public health and contribute to personalized medicine development in Estonia. Andrei Baikov works as a project manager at EGC, where his main tasks are coordinating various collaboration projects with international scientific groups and with private sector partners. Erki Ani is the CEO of Cleantech ForEst, an organisation supporting Estonian cleantech startups' development and funding. He has background in environmental managent and engineering, but also in environmental sciences and biology. Moreover during the past 4 years he has been involved in startups' development, mentoring and entrepreneurial study programmes management. Erki is running Estonia's only cleantech oriented accelerator programme (Climate-KIC Accelerator), which provides financial support as well as international and national mentoring and training to startups. When it comes to evaluating new innovative ideas, he believes the team is the most important player in the game. Kristiina Laurits works in the consulting company Civitta Estonia, where she is responsible for international project management. Right now Kristiina coordinates the activities of the BIOWAYS project in Estonia. BIOWAYS is a cooperation project funded by Bio-based Industries Joint Undertaking under the EU’s Horizon 2020 Framework Programme. The aim of the project is to raise the public awareness about bio-economy, bio-based products and their benefits for the society. For this BIOWAYS is implementing several activities, including the BioInnovation Days in cooperation with partners. Liina Joller is the founder of the biotech company Power Algae, which develops photobioreactors for growing micro-algae. She is motivated by the vision that the carbon dioxide, which currently is considered a waste, can be used as a valuable resource in micro-algae production process. The algae themselves can further be used for making various biofuels, food and feed, biochemicals, and many more. The ALGACAP technology, also developed partly by the same team, has the potential to reduce Estonian carbon footprint. Besides being an entrepreneur, Liina is also lecturing on entrepreneurship and innovation management at the University of Tartu. Jacqueline has taught at Stanford's Hasso Plattner Institute of Design and the Berkeley Haas School of Business. She has lon-time experience in working for projects that secure well being of people and improve health care delivery. Currently she is seeking for PhD at the Institute for Global Healthcare Innovation at Imperial College London. Harri Tallinn has worked in public, private and non-profit organisations. Together with partners he developed and managed a consulting business for 8 years, which for now has merged with Civitta Estonia. For 7 years Harri has been active in the start-up and innovation field and has been the leader of Ajujaht, the largest competition of business ideas for 6 years. 7) New business development and growth companies: Experience in board positions in several companies in different development phases (well established, MBO as well as start-up companies) during 15 years. Timo Kikas is the professor of biosystems engineering at the Estonian University of Life Sciences. Chemist by background, his current main research areas include production of third generation biofuels and using microalgae for carbon dioxide sequestration.